The outlook for Asia Pacific’s nutraceutical, functional food and beverage, vitamin and dietary supplement industries is positive, with a CAGR predicted to reach 11.5% during the 2012–2017 period. 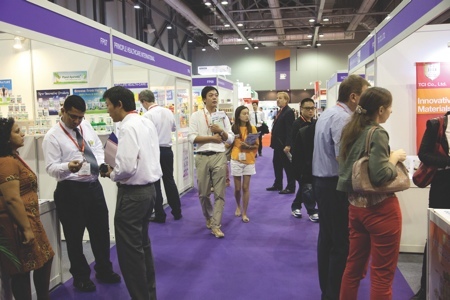 At Vitafoods Asia, the international community will come together to discuss new business partnerships, discover new ingredients and technologies, unearth new market opportunities and learn how to tap into issues such as obesity and cardiovascular disease, which will help companies to grow consumer demand and ensure product success. Manufacturers have never been in a better position to meet the burgeoning demand in the region and identifying how new ingredients and technologies can be applied to product development strategies to target consumers effectively is key to their success. 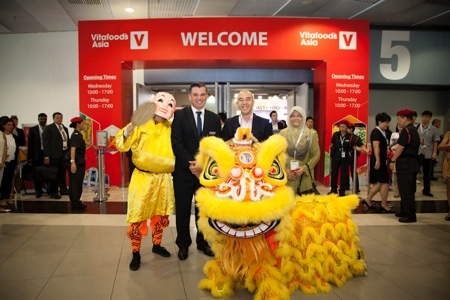 More than 170 suppliers from Asia and beyond are preparing to present their latest ingredients and raw materials at Vitafoods Asia to upwards of 2,500 visitors. Exhibitors include ADM, CHR Hansen, Epax, Huisong Pharmaceuticals and Malaysian Biotech Corporation who are all offering their market expertise to help developers create consumer-winning products. In addition, visitors can gain crucial information on key topics and trends that can be used to enhance their marketing and business strategy. A growing middle class, rising ageing populations, soaring obesity rates and the arrival of Western companies and investment are all propelling demand in this dynamic region. Meanwhile ASEAN harmonisation, as well as harmonisation between China, Taiwan and Hong Kong, will open up more opportunities for business in a region that is known for its complex regulatory environment. 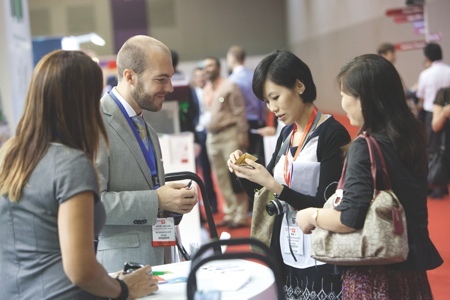 Vitafoods Asia provides the local and global nutraceutical industry with a meeting place to discuss new business deals and debate hot industry topics to help overcome challenges and boost growth opportunities in the market. Now in its fourth year, Vitafoods Asia has established itself as a platform to showcase the most recent innovations to hit the market. This year’s event is once again geared towards highlighting the industry’s latest ingredients, products, technologies and research so that visitors can gain product inspiration. The popular New Product Zone helps visitors to pinpoint ingredients that have been launched in the last 12 months. Examples include a melon extract capsule that promises to reduce cellulite by 11%, Icelandic moss for use as a cough remedy and cholesterol-reducing capsules that include red yeast rice, fenugreek and garlic. Retailers and distributors can also discover shelf-ready products in the Finished Products Pavilion. 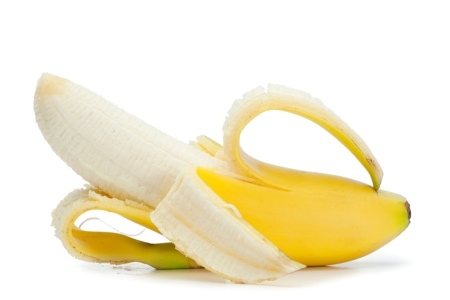 Here, suppliers will showcase a range of functional food and drink products that can be adapted to fit with existing product lines to create a new and exciting proposition. The Tasting Bar brings the consumer experience to life, allowing visitors to trial and compare products across a range of categories; this year’s crop includes a natural fruit sweetener as an alternative to white sugar, protein-packed hazelnut cookies and vitamin jellies for children. Staying ahead of the competition means understanding how new ingredients and raw materials can be used to tap into market opportunities. With trends such as weight management, obesity, heart health and active ageing presenting their own unique opportunities and challenges, it is essential that manufacturers ensure they are developing fresh products that align with consumer demand and expectations. 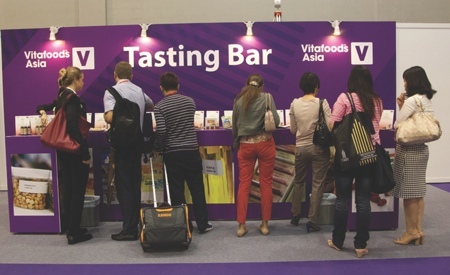 At Vitafoods Asia, the show floor is awash with opportunities to source raw materials and ingredients, as well as learn about trends and legislation that help put brands on the road to success. 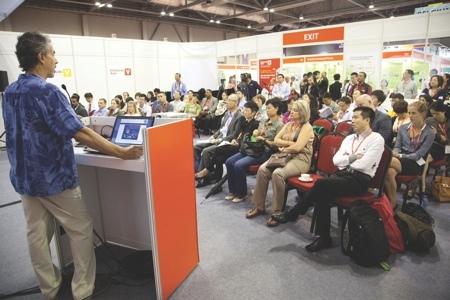 New for 2014 is the Market Insights Hub, a seminar theatre that offers access to industry specialists from the likes of the China Healthcare Association, Euromonitor, Frost & Sullivan, The Healthy Marketing Team and Mintel. These free-to-attend sessions are designed to offer impartial insight on the latest innovations, emerging trends and how to access specific geographical markets that attendees can use to improve their business strategies and operations. Also new for 2014 is the Innovation Station, in partnership with Mintel, which acts as a global guide featuring the latest trends and product development in beauty and weight management ingredients — two key categories for the future of nutraceuticals. Visitors can hear from Mintel analysts as they provide interactive demonstrations on products that deliver benefits in these areas, while a product showcase also highlights a range of concepts from around the world that use innovative ingredient claims for beauty and slimming benefits. Regulation is just one of the industry’s buzzwords and visitors and exhibitors have plenty on offer to help them better understand complex legislation that differs throughout the region. For one-to-one advice on specific pieces of legislation, visitors can book free Regulatory Advisory Sessions with EAS Strategic Advice, during which specialists will walk attendees through Asia Pacific’s labelling and health claim laws. For insight into regulations after 2015, visitors can book on to the ASEAN Harmonization Implementation Workshop (also free), which delves further into new and existing national regulations for health supplements in ASEAN countries and focuses on topics such as developing pan-ASEAN marketing strategies and technical requirements for harmonisation. Visitors can also attend the sessions in the Market Insights Hub and get better informed about trends, innovation and specific market information that tie in with the regulatory landscape. 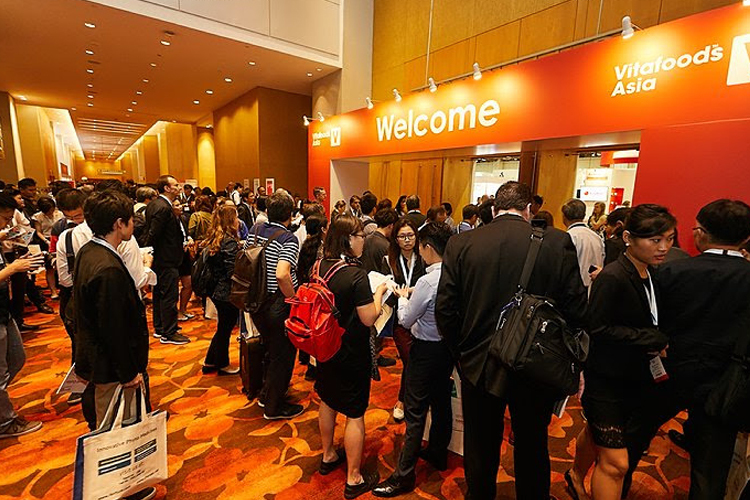 Running alongside Vitafoods Asia is the new Vitafoods Asia Conference and a series of masterclasses that draw on the expertise of the Vitafoods Portfolio to deliver thought-leadership content on the industry’s most pertinent topics and issues. A truly international line-up, including speakers from Australia, India, Malaysia, New Zealand, Spain and Taiwan, will share their insights on topics as wide-ranging as weight management, active ageing, indigenous ingredients, dietary lipids and functional beverages. To enable visitors to make the most of their visit, the conference has a modular format, allowing delegates to book only the most relevant sessions — leaving them time to explore the ingredients and content available on the show floor. Masterclasses also offer a deeper understanding of topics key to launching products that use new ingredients and raw materials. The Healthy Marketing Team offers first-hand advice on the ‘FourFactors’ of growth and market success, covering everything from launching successful brands in growing economies to protecting a brand from incomers to the market. 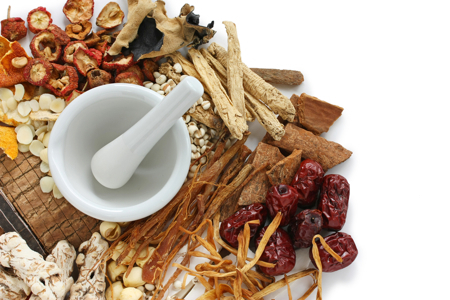 In the Botanicals and Natural Extracts masterclass by Lodaat Pharma, delegates are offered a greater understanding of botanical ingredients, how modern scientific methods can improve nutraceutical manufacturing processes and best practice in herbal ingredients. 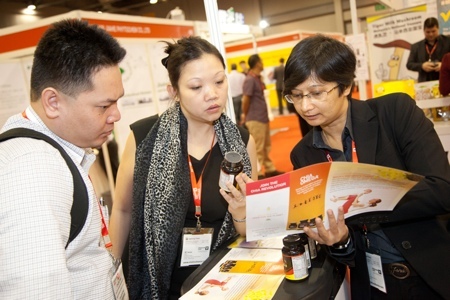 Vitafoods Asia takes place on 3–4 September 2014 at AsiaWorld-Expo, Hong Kong. Malaysian Biotechnology Corporation Sdn. Bhd. EAS Strategic Advice Pte. Ltd.